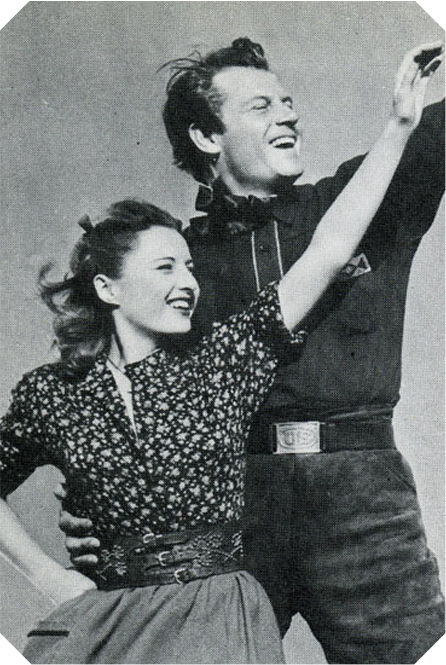 In their fourth movie together, Barbara Stanwyck and Joel McCrea star in Union Pacific, this week's "Movie of the Week." Directed by Cecil B. DeMille, Union Pacific is the story of the building of the transcontinental railroad. Or more specifically, it's about an Irish "end-of-track" postmistress (Barbara Stanwyck), her gambling fiancé (Robert Preston) and the former Union army captain sent to maintain law and order along the line (Joel McCrea). Naturally, what happens is that postmistress Mollie Monahan and Captain Jeff Butler can't seem to stay away from each other. Probably because Joel McCrea has got to be one of the most adorable men ever.